Human life is a mechanism which undergoes constant change. However, the major crisis, both physically and mentally, is felt when a person reaches his midlife and he starts feeling a grave emptiness in his life . Dr. Puneet Chawla explains this midlife crisis by saying that human life faces crisis at every stage right from childhood and youth to midlife and old age. Searching for a career is a major crisis which leads to excessive mental stress and depression. At least midlife should be more balanced than the rest of the stages of life. Having reached midlife would mean that the problems relating to youth are over but the crisis of old age is yet to be experienced. Under such circumstances one should feel that half a battle has already been won by him. Every stage of life is a process which would be achieved once in a lifetime. 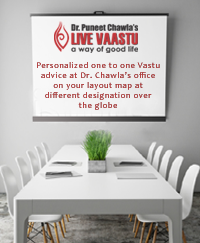 Dr. Chawla further unveils that most people consider midlife to be crisis because it is the time when the energy and zeal of the youth is mellowed down and one cannot experience the same lifestyle as he used to during his youth. 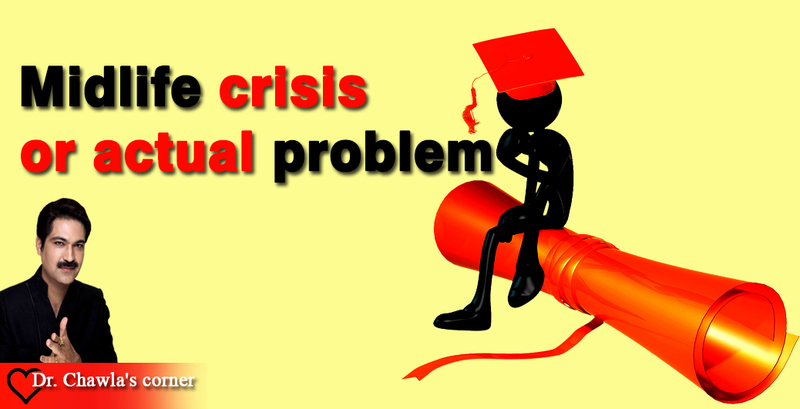 Hence, it is not a crisis but a change in life structure which is inevitable. The only way to escape it is to either kick the bucket or get enlightened. Otherwise, as long as we are a part of the physical existence, we have to undergo every kind of physical and mental change from time to time. When we resist change, we actually resist the fundamental process of life threby inviting all kinds of sufferings for ourselves. Dr. Chawla futher says that life is full of situations of various kinds. If we are already aware of every situation of life which is going to befall on us, it would lead to major boredom. Variety is the spice of life, and not knowing the change that is going to occur in the near future should actually lead to excitement and should not be considered as a crisis. Hence it is just the way we look at things which make it either boring or appear as a crisis. According to Dr. Chawla, getting fully involved with life would never lead to it as a crisis. We should prepare and organize the mind, body and soul and the energy in it in the best possible manner to figure out and fight every situation, which comes in front of us. But the problem is we humans do not want to organize these aspects as we get converted into concrete block with time which does not want to change with time. This concrete block desires to cross every level or stage of life in the same shape and form. Any change at any stage is difficult to adapt to, hence the change which occurs with time seems to be a crisis for most of us, especially at midlife. If we closely look at the midlife, or the changes it brings about in life, it definitely is better than stagnation because human life cannot bear stagnation at any point or stage of life.